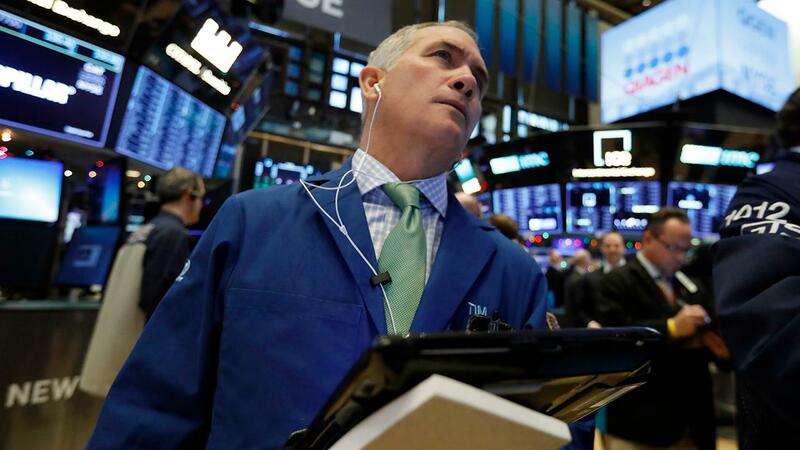 Mahoney Asset Management President Ken Mahoney and Belpointe Asset Management chief strategist David Nelson on the state of U.S. stock market and whether the Fed should cut rates. The Trump administration should absolutely remove tariffs on steel and aluminum from Mexico and Canada. While the White House has said this is on the agenda, some members of the administration have suggested replacing these tariffs with quotas. This would be a mistake. As the International Monetary Fund warned this week, current trade tensions between the U.S., China, Mexico and Canada -- if not cooled -- could lead to a downturn in global economic growth. Tariffs are bad -- they are taxes on trade that suppress the economy and harm American businesses. However, trade quotas are equally as bad as they arbitrarily limit imports. Rather than simply increase costs, quotas have the potential to entirely cut off supply of needed inputs for businesses. This would be disastrous for capital intensive American industries, such as the energy industry which relies on specialized parts from across the globe. MEDICARE FOR ALL: OBAMACARE TAUGHT US NOTHING? Instead of perpetuating market distorting trade policies, by swapping tariffs for quotas, the administration should remove tariffs entirely. Doing so will remove a barrier to economic growth that is undercutting the success of tax reform and can pave the way for approval of new trade deals with China, Mexico, and Canada. While the administration is right to fight for better trade deals, using tariffs as a negotiation tool is harming the U.S. economy. Since they were imposed on imports, 25 percent tariffs on steel and 10 percent tariffs on imported aluminumhave increased taxes on Americans by $9.3 billion every year. In total, the tariffs imposed by the Trump administration including tariffs on China have totaled $42 billion, according to the Tax Foundation. This is harming the economy and workers as noted in a study by the Trade Partnership which found that existing tariffs will cost more than 930,000 jobs and cost a family of four $767 per year. Doubling down on these policies by imposing 25 percent tariffs on all Chinese imports would result in the loss of 2.2 million jobs and cost a family of four $2,400, the group says. Not only are these tariffs damaging to the economic, they are directly undercutting the $2,000 in federal income tax relief received by a family of four from the GOP tax cuts. Because of tax reform and regulatory reform, more than 5.1 million jobs have been created since the beginning of 2017, and there are 7.6 million job openings, a record high. GDP grew by 3.1 percent between the fourth-quarter of 2017 and the fourth-quarter of 2018, while nominal wages grew 3.4 percent over the last year, hitting a ten-year high. Tax reform also incentivized strong business investment through the creation of 100 percent, full business expensing. This policy has been successful –- private domestic investment was up 7 percent. However, the uncertainty from tariffs and potential quotas is creating a disincentive for companies to make further investment. To be clear, the Trump administration deserves credit for fighting for better trade deals. Trump has negotiated the new, United States-Mexico-Canada Trade Agreement (USMCA), which modernizes trade conditions with our two North American neighbors and gives American businesses the certainty and access to foreign markets they need to compete and thrive. The administration has also made key progress toward ensuring fairer trade conditions with China. After months of negotiations, White House economic adviser Larry Kudlow recently said that the two countries are close to an agreement with further discussions to continue. In order to pave the way for these agreements to reach fruition, the administration should remove the tariffs. Doing so will have clear economic benefits. In fact, free trade could add as much $540 billion (or $1,600 per person) to the U.S. economy by 2025, according to the Peterson Institute. But this economic prosperity will not come from tariffs or trade quotas. The path forward for the administration must be free trade, not economic protectionism.